The team at Lake Hamilton Animal Hospital is comprised of highly trained and experienced animal health professionals who have a genuine love for working with pets. Our staff treats every patient with the highest quality of medical care as well as a gentle touch. Dr. Brian Peters is Chief Veterinarian of Lake Hamilton & Hot Springs Animal Hospitals. Dr Brian Peters grew up in Sherwood, Arkansas, and has loved animals since he was a child. He made the decision to become a veterinarian after working as a kennel assistant in high school. He is a graduate of the University of Central Arkansas and the Tuskegee University School of Veterinary Medicine. Dr Brian Peters purchased Lake Hamilton and Hot Springs Animal Hospitals in 2008 from Dr. Adney after serving as an associate since 2001. He and his wife, Melissa, have two daughters, Kaitlynn and Lillian and a son, Mason. Dr Brian Peters is very active in the community and is a member of several local organizations. 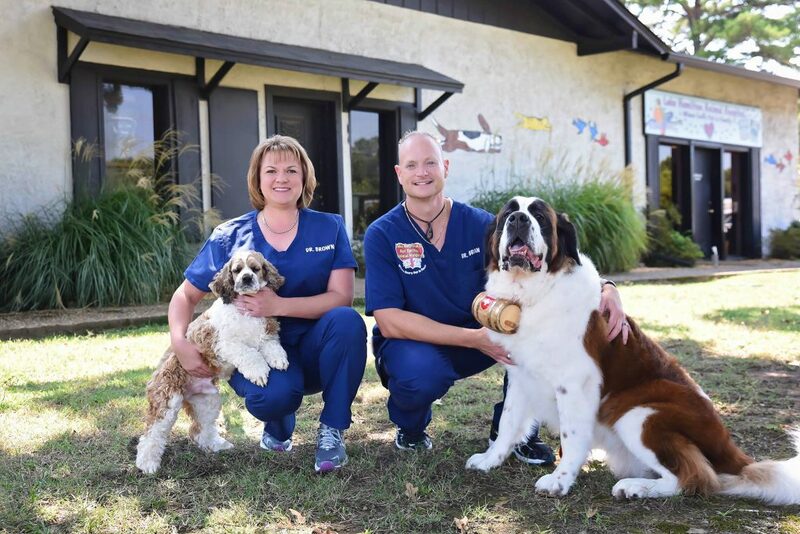 Dr. Stacy Brown grew up in Stephens, Arkansas and dreamed of becoming a veterinarian since the age of 13. She earned a degree in Agricultural Business from Southern Arkansas University and attended Texas A & M University where she worked on a Master’s Degree in Animal Science. She finally obtained her dream of becoming a veterinarian when she graduated from Louisiana State University School of Veterinary Medicine in 2003. After graduation from veterinary school Dr. Brown completed an internship at Weatherford Equine Medical Center in Weatherford, Texas. Dr. Brown joined Lake Hamilton and Hot Springs Animal Hospitals in May 2006 as an associate veterinarian. In her free time Dr. Brown enjoys horse showing. She also loves spending time with her family when possible. Dr. Brown’s love for animals and her work shows to all our clients!